As NetVEST’s Tax Planning Coordinator & Estate Planning Liaison, Sue Shannon works primarily with Mr. Cartolano and Mr. Walker in the executive department of the firm. 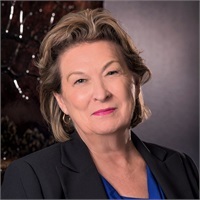 Sue obtained a bachelor’s degree in Management and Accounting from Hamline University, in addition to being an advanced certified paralegal in estate planning which she received in 2016 from The National Association of Legal Assistants. Prior to joining NetVEST in December of 2013, Sue worked in the tax departments for various Fortune 500 companies and applied her skills as a paralegal in a regional real estate law firm. At NetVEST, Sue's role includes assisting John & Jayson with administrative tax planning duties, providing research to the executive team, and aiding in the preparation of estate planning documents.